Metered billing – any combination of usage-based tangible and intangible items (hours, warranties, licenses, SAAS, maintenance). Create an invoice at any time. Set time to apply payment to invoices. 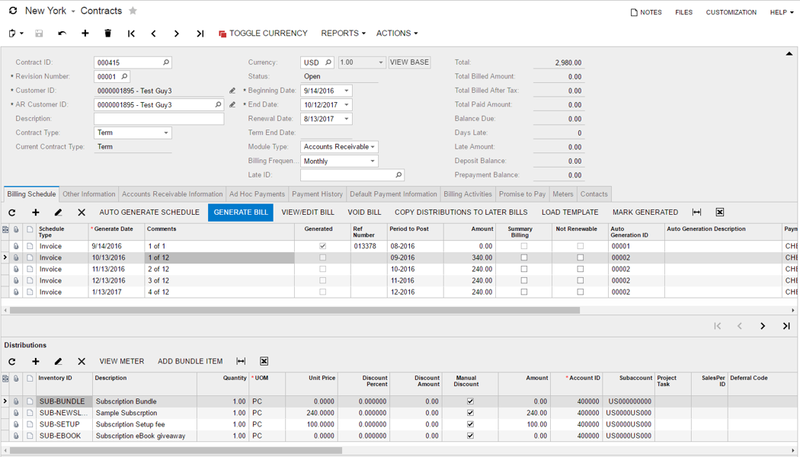 Does not have to match invoice amounts; will handle accounting for AR and customer deposits. 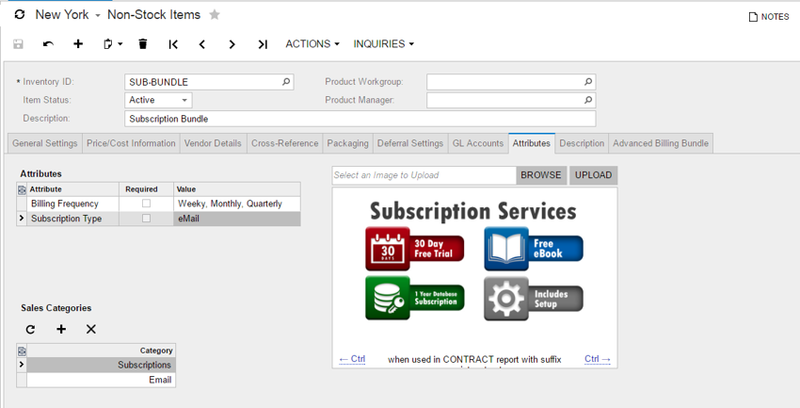 Set the message and the invoice format by customer class or individually by customer. Messages include credit-card expiration, dunning notices, renewal notices, and much more. 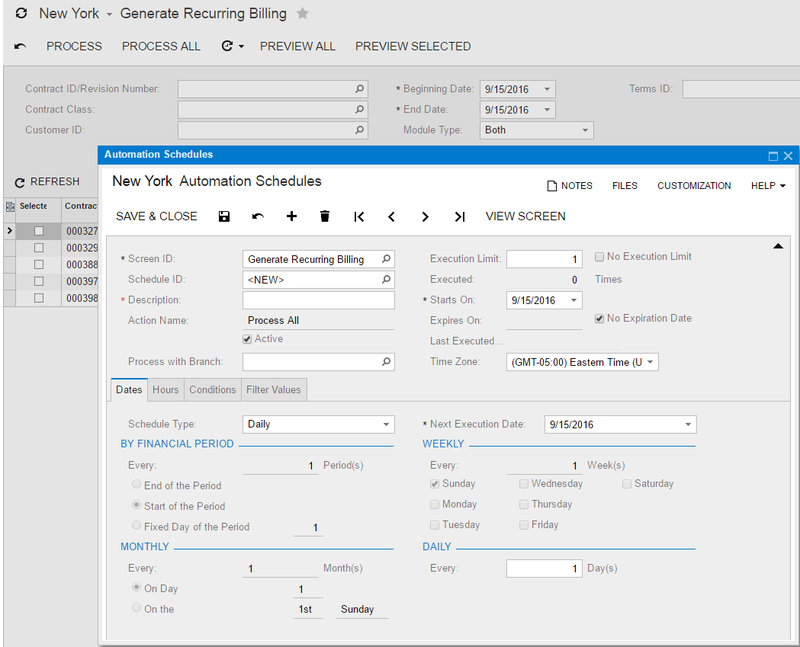 Automatically creates invoices – no manual effort. Greatly reduces work effort and errors.